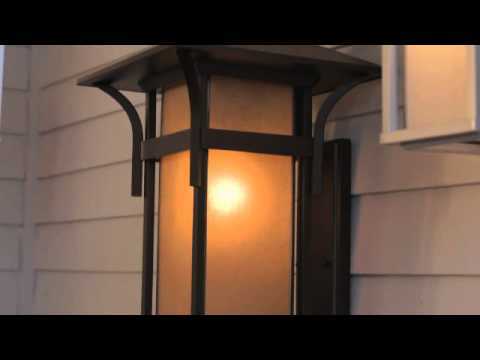 15% Off Outdoor Lighting w/ Code HOME419. For a limited time, use code "HOME419" at checkout to receive an extra 15% off select Hinkley Outdoor Lighting! Free shipping offer! Harbor has an updated nautical feel, with a style inspired by the clean, strong lines of a welcoming lighthouse. The cast aluminum and brass construction is accented by bold stripes against the seedy glass. Dimensions (in inches): 7 W X 7 3/4 D X 10 1/2 H.
Hinkley Lighting warrants all its products to be free from defects in material and workmanship, subject to certain conditions and exclusions, for twelve (12) years from the date the product was shipped to the original purchaser. The finish is warranted for two (2) years. 10 1/2" 23" 23" 10 1/2"
7" 9 1/4" 9 1/4" 7"
4 1/2" 5 1/4" 5 1/4" 4 1/2"